Helping refugees is not just the right thing to do, it's the Canadian thing to do. As the board of Amnesty International Canada (English Speaking), we believe that everyone has the rights to be safe. We believe that everyone has the right to be protected. We believe that everyone has the right to enjoy lives that are meaningful and dignified. We believe in the rights of refugees. We’re proud to live in a country that has demonstrated real compassion and generosity towards refugees, especially at a time when so many other countries are turning their backs on those who have been forced to flee their homes because of war, internal violence, gross human rights violations, natural disasters and climate change. And the world needs all the compassion and generosity that it can get. In 2015, the United Nations Refugee Agency reported that there were nearly 60 million refugees and displaced persons in the world. The numbers are staggering. Sadly, all estimates suggest that they are only going to get bigger in the years to come. 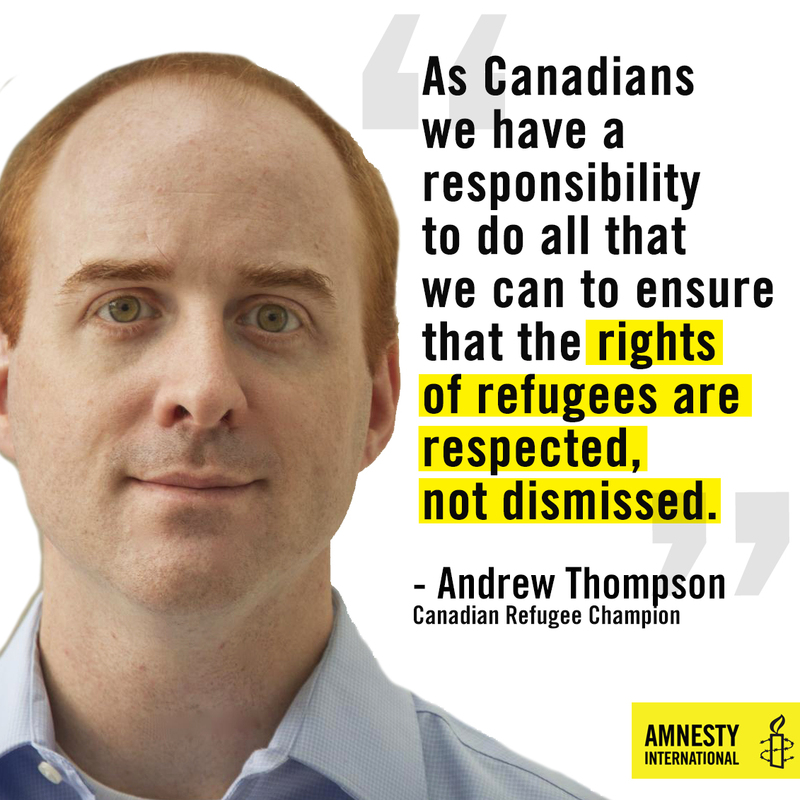 As Canadians we have a responsibility to do all that we can to ensure that the rights of refugees are respected, not dismissed. And as Canadians, we have a moral obligation to pull our weight, so to speak, to do our fair share, so that the challenges of providing for refugees does not fall disproportionately on the shoulders of a few countries in the Global South. As a board, we know that Canada is up to the task. We have no doubts about it. Helping refugees is not just the right thing to do, it’s the Canadian thing to do. That’s why the ten of us are taking the pledge to be refugee champions.